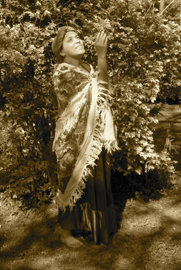 Learn about the experiences of African-Americans under the institution of slavery in this re-enactment of the true story of Lucy Bagby, a runaway slave captured in Cleveland amid the protests of local abolitionists and returned to her Master. 6 students will be asked to work with Robin prior and then join her in the performance. Audience encouraged to sing along with traditional songs of the Civil War. This offering is one of the Diversity Engagement programs available.